Talk about a first experience! Check out these first time experiences! 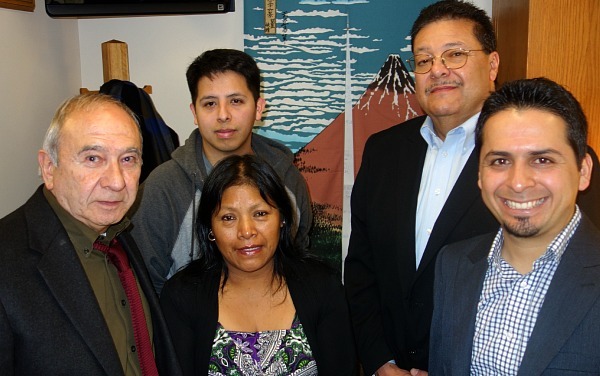 Meet our newest union member Edgar (back left) pictured with Representative Joe Gallegos (HD30) and other PCUN staff. Edgar was lobbying to assure farmworkers are included in paid sick leave. This was his first time lobbying and first time visiting the Oregon Capitol. 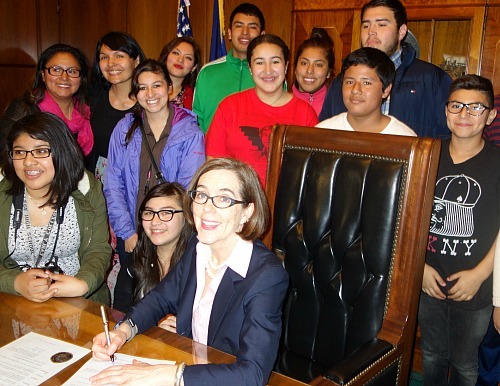 Youth leaders from our sister organization Latinos Unidos Siempre with Oregon’s Governor Kate Brown. The youth took part in the Governor’s signing of the Proclamation of the Cesar Chavez Day for Community Service. First time visiting the capitol for most of them too! Members of the Oregon Coalition to Stop Wage Theft. The coalition is working to pass the Fair Wage Recovery Act.